What's on Helena's mind today? There are a number of artists from this region whose work I admire, and one of them is Bridget Jones. She works mainly in architectural glass; and her designs weave together image, pattern and colour. However, her interest in pattern also means that printmaking is an important part of what she does. When we exhibited together, as a part of a group, at The Granary last November (see my previous post titled ‘Berwick’s Burrell Collection‘), I really admired the way she had taken on the task set by the gallery. In fact, to be honest, I so liked what she did – a lovely print on hand-made paper – that I had to have a copy myself. It was an extravagance, but, I thought, it was a sort of Christmas present to myself. Bridget’s print is a way of responding to a detail in one of the Burrell Collection’s oldest paintings, The Lady in Black (c.1638). The detail that had fascinated Bridget was The Lady’s coral bracelet. Coral is worn in many cultures to protect the wearer and ward off evil spirits. In fact, in Chinese art coral is one of the eight ‘treasures’, symbolising longevity, good fortune and happiness. In the 18th and 19th centuries, coral was a very popular element in wallpaper and fabric design, and prints of coral were common. 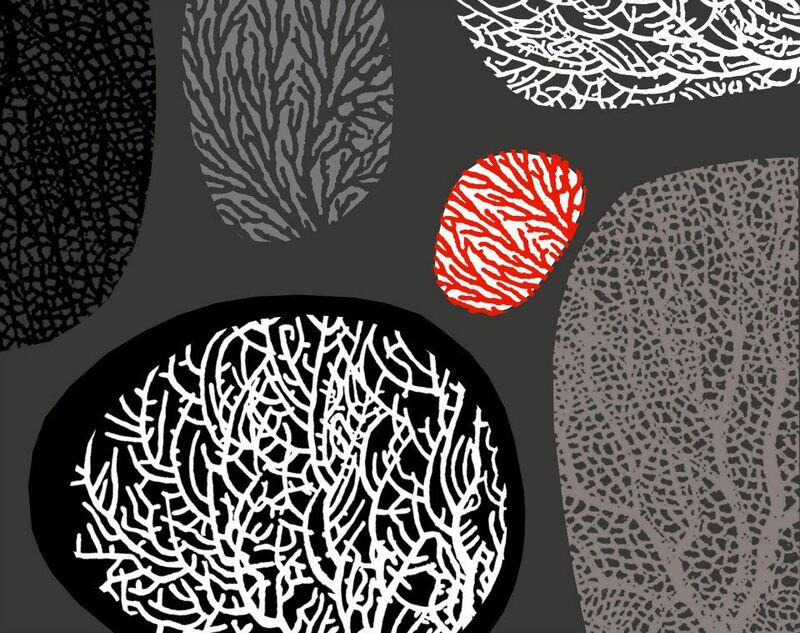 Bridget’s print draws from images of coral and its structure. It takes colour as a central consideration, using greys, blacks and sombre tones along with skeletal trees and big horizons. I’m very proud to have her work in my home. 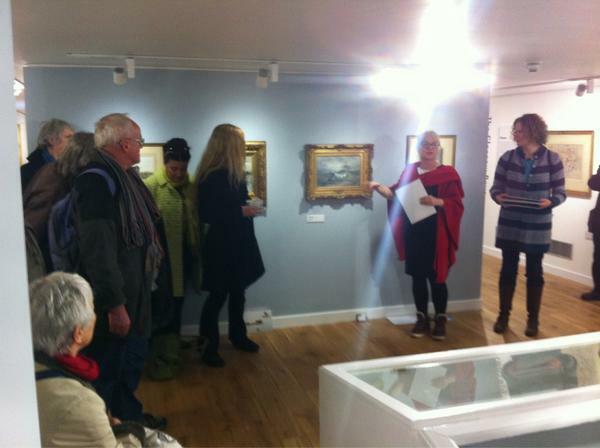 The Granary Gallery in Berwick invited me to talk about the way I’d dealt with the challenge of responding to its famous Jacob Maris painting ‘The Washing Day’. As I mentioned in this blog a couple of posts ago, I had created a porcelain piece which echoed the way the painting showed linen-sheets undulating in the breeze. Now, my piece was being exhibited in the gallery alongside the original. I concentrated in the talk on the problems that come up when working with porcelain; and a couple of people mentioned how surprised they were about the the difficulties in making these seemingly simple pieces – but then, I do like to challenge my clay.